Five Easy Dollar Tree Centerpiece Ideas - For Weddings, Parties, and More! I’m telling you, the Dollar Tree really is one of the best store around! Ever since my post on Dollar Tree Wedding Ideas exploded, I have been wanting to write a post about simple Dollar Tree centerpiece ideas! I am super excited, because the Dollar Tree even offered to partner with me on this post, so I hope that you all will enjoy these ideas. Below are five fun Dollar Store centerpiece ideas – these can be used for weddings, formal dinners, parties and more…and they all only require a few materials. While you can likely find these materials in store, I highly recommend ordering in bulk from the Dollar Tree’s online website. That way, you can make sure you get everything you need without running around to different stores. Their website is great for all party and wedding needs! 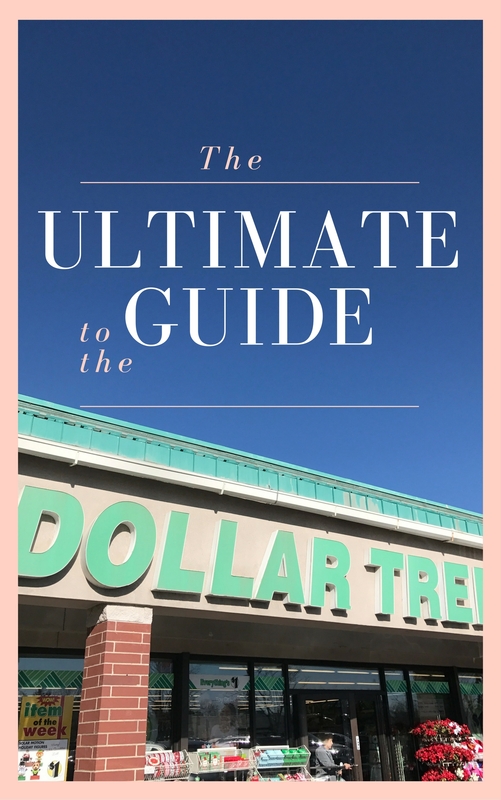 Download your FREE Dollar Tree secrets eBook and get exclusive tips, giveaways, deals, and more for saving money straight to your email! I have to admit, this is my favorite centerpiece. You can use whatever sized frame you want, you can add engagement pictures, pictures of the bride and groom growing up, etc. And if it is not for a wedding, the sky is the limit! I picked out these 3.5″x5″ gold frames, because I thought they were the perfect size, and the gold was pretty classy. However, you can easily spray paint it other colors if you want! Remove the cardboard stand on the back of the frame. Place a candle holder in the center. We had to put this on a little box so it was taller – you can just get a taller candle holder if you want! Put candle in the candle holder! This centerpiece was Forrest’s idea. I love the variety of glass accent beads that are available at the Dollar Tree – they really can dress up anything. I was feeling like it was a little plain, so I added the tulle (which is really great quality and each roll has a lot on it) around the center of the vase and placed tealights around it. This would be perfect for a dreamy centerpiece. Pour the bags of accent beads into the vase. Fold a piece of tulle hamburger style and tie around vase. My niece, Tori, really helped a lot with this one! I used some rounded candles and covered them in glitter packets from the Dollar Tree. We did find it a little bit tricky to put the glitter on. We used Mod Podge, which we painted on, but we both agreed that a spray adhesive would be much better. I also think that each ball needs 2-3 packets of glitter. The kind we got at the Dollar Tree had about six different shades of gold and bronze . Spray one ball at a time with a spray adhesive and roll in glitter until covered. Wrap tulle around the wreath. This one is very simple, but it smells great! I love the potpourri at the Dollar Tree. There’s a ton of it in each bag, and it’s very sturdy.